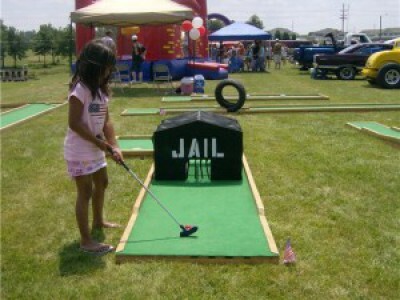 New government regulations limit the slope of the mini-golf holes and would force businesses to allow miniature horses on their premises as guide animials. Although the Justice Department has extended the deadline for America’s hotels to comply with regulations regarding handicap access to swimming pools, new Americans with Disabilities Act (ADA) guidelines are already being applied at miniature golf courses, driving ranges, amusement parks, shooting ranges and saunas. Among the provisions in the “Revised ADA Standards for Accessible Design,” which went into effect on March 15, is one requiring businesses to allow miniature horses on their premises as guide animals for the disabled. Another limits the height of slopes on miniature golf holes. “The new standards, for the first time, include requirements for judicial facilities, detention and correctional facilities, and recreational facilities,” Assistant Attorney General Thomas E. Perez said during a conference in Baltimore on June 7. “We expect the implementation of these accessibility standards to open up doors for full participation in both the responsibilities, such as jury duty, and the benefits, such as playing at city parks, of civic life for people with disabilities,” he said.